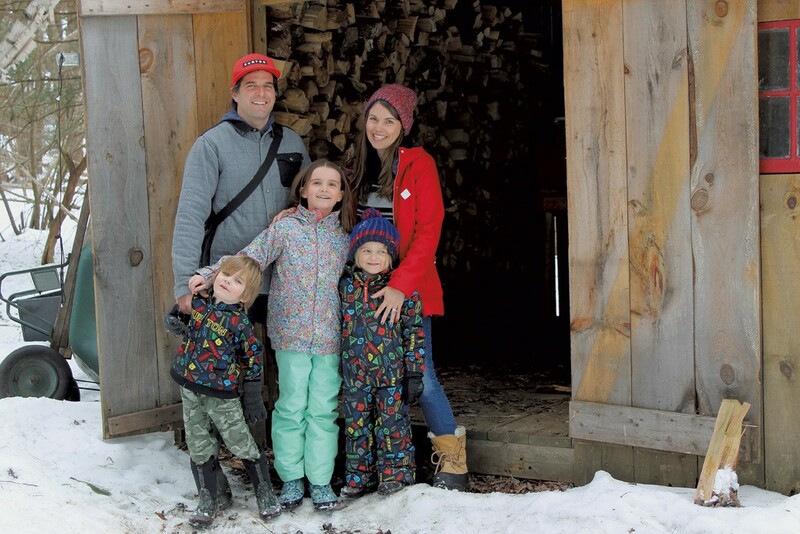 Family Sugar House | Features | Kids VT - small people, big ideas! If the Youngs want a sweet treat this time of year, they don't have to go far. The Morrisville family produces maple syrup in a backyard sugarhouse. During sugaring season, Phil and Abigail Young drill taps into maple trees on their five-acre property and on their neighbor's land. Once the sap is running — anywhere from early March to April — they snowshoe through the woods, tranferring the clear liquid from metal collection buckets into larger five-gallon containers. Even the kids pitch in, using a homemade sled with snowboards for runners to reach remote trees. The standard 10-by-12-foot wooden sugarhouse has a few custom features, such as an eave that opens up to allow steam to escape while sap is boiling and an interior wall designed to hold stacked cordwood. Inside, there's a 2-by-4-foot evaporator with an arch underneath where they build the fire to heat the sap. When the sap is running and the evaporator is boiling, Phil takes a day or two off from his job as a seventh- and eighth-grade teacher at Essex Middle School to perform sugaring duties. The sugarhouse fills with family and friends. "We get to stay up really late," says his 9-year-old daughter, Astrid. The sugarhouse serves an educational purpose as well. Phil uses it to teach his three kids about the process of making maple syrup and the value of their natural surroundings. "I love having my kids see that our forest is an important resource, and our trees are vital for so many things," he says. 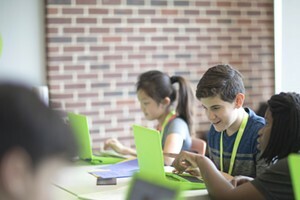 He also incorporates maple sugaring into his middle school curriculum. The topic lends itself to discussions about weather patterns, ratios and percentages, he says. 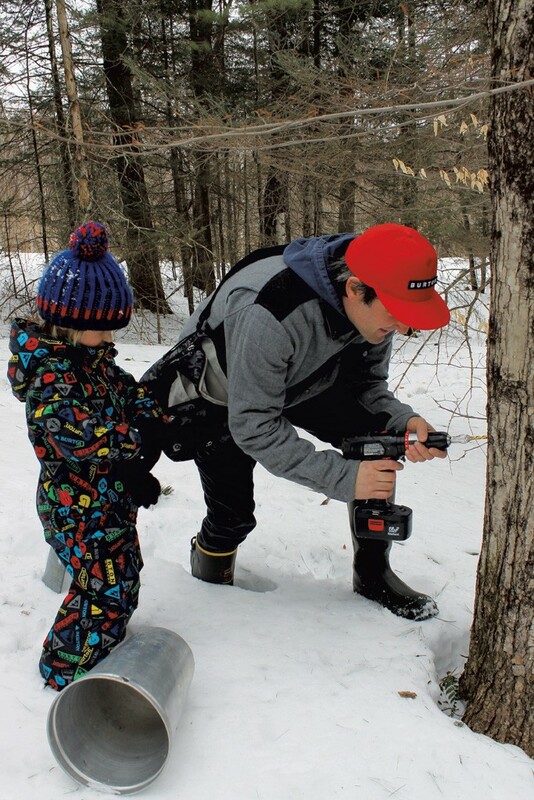 Recently, his students shot videos of sap dripping into buckets and used the rate of flow to calculate the total volume of sap production from a whole sugar bush. Maple syrup isn't the only thing the Youngs produce on their land. They grow vegetables and blueberries, raise chickens for eggs, and keep bees, which means that in the summer months, they get another sweet treat: honey. The sugarhouse is made from local rough-cut pine, with a metal roof. Phil Young built the structure in 2003 over the course of a month, mostly on weekends. He spent about $2,000 on lumber and $1,500 for used sugaring equipment. The Youngs tap 100 trees on their property and on their neighbor's land. 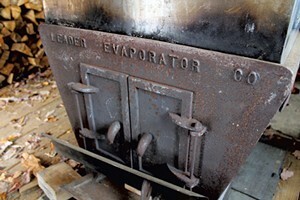 They burn three cords of wood each season to condense the sap into 15 gallons of pure Vermont maple syrup.